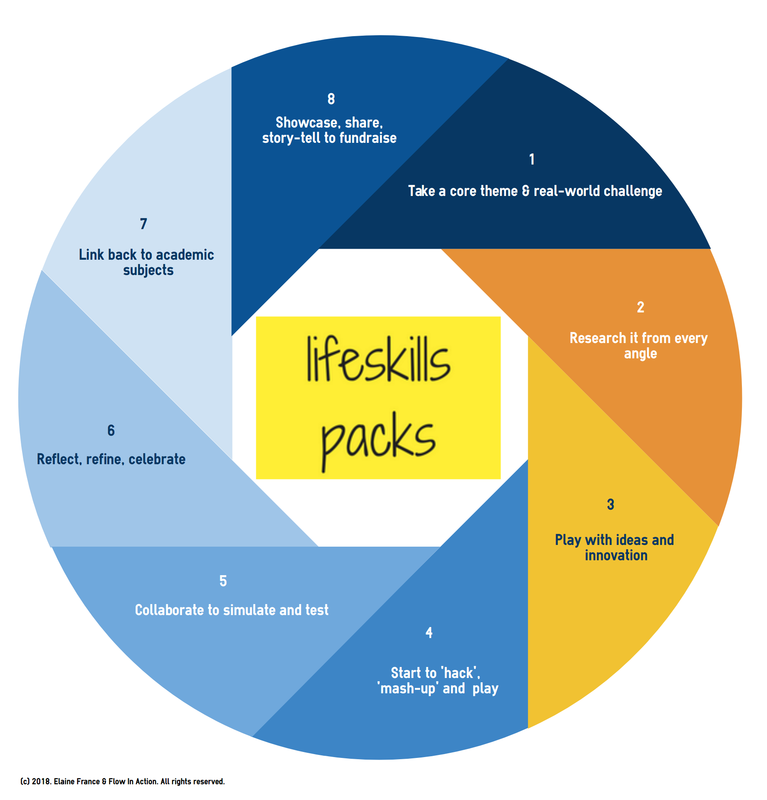 Flow In Action lifeskills packs are off-the-shelf project based schemes of work for personal development. They are designed for use with or by young people, equipping them with the leadership and wellbeing skills for the 21st Century. This is about developing their entrepreneurial mindset, demystifying innovation and enabling them to explore ideas, using all of their individual creativity. Access to clean, fresh water is a basic human right and one of the UN Sustainable Development Goals. More than 40% of the global population (Source: UN) lacks that access, which keeps them locked in poverty due to time taken to collect, manage and distribute water. The Water Carry is designed to explore this theme through research, ideas and understanding innovation. Use it as a whole school activity to build awareness, subject knowledge and fundraise at any time of year or for World Water Day 22nd March. Includes: 10 session plans and framework for Showcase event in PDF format. Delivered as a digital file.